It seems as spring was approaching I was subconsciously amassing this great collection of Mennonite and Amish rabbits that I have been offering here for sale with only one not making it to this update. I feel very fortunate to have so many here to offer. 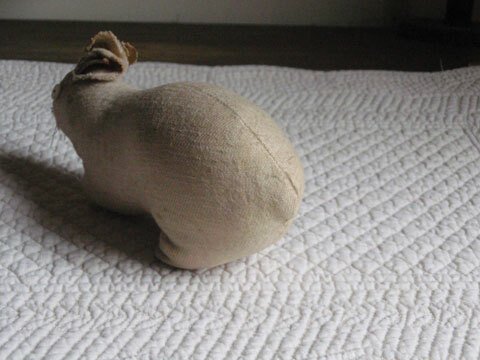 Found in Lancaster County, PA, this rabbit is quite wonderful in both line and form. 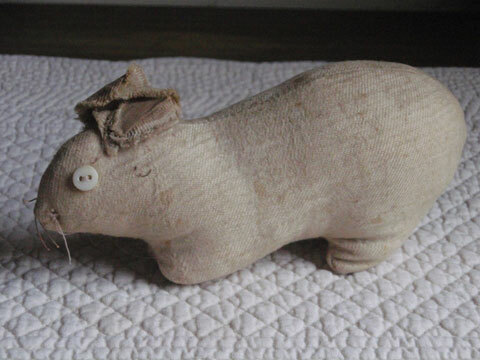 Fashioned out of natural cotton flannel and cotton batting stuffed, she measures 6 inches from the tip of her nose to her cleverly “bumped out” tail. 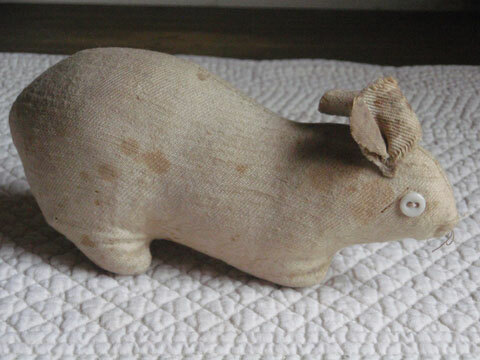 She stands not quite 2 ¾ inches at her rump and is primarily hand sewn. 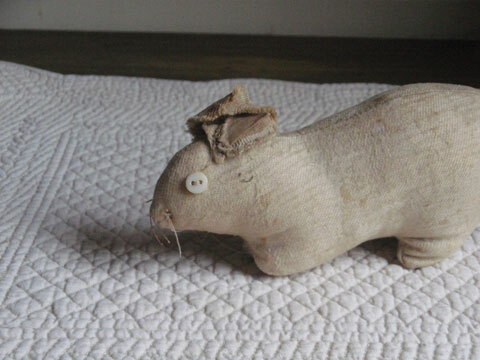 In excellent condition, she still retains her applied ears, milk glass button eyes and wisps of cotton floss whiskers. I think what I love most about her is her very naïve and simple look. 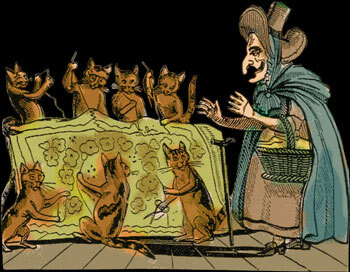 That having been said, she is a great example of this most humble form of folk art.